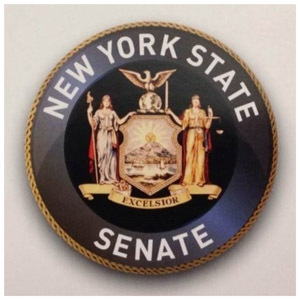 We had the unique honor of receiving a NYS Senate Proclamation in 2014 and were recognized both for the longevity of our shop and our years of service as business owners in Pittsford! Beads ‘N Things was first established in the Village of Pittsford in 1968. Over the decades, the store transitioned from a bead shop in the 1960’s to a bead and craft shop during the 1970’s and 80’s. We purchased the shop in 1984 and, after a decade of selling craft supplies and beads, we saw the demand for beads and jewelry making supplies gain rapid popularity in the community. In 1995, we converted the shop back to its origins of a full-service bead shop! After donating all of the leftover craft products to local charity organizations, we reorganized the shop to make room for beads, beads, and tons more beads! 2008 brought about more updates and changes along with an extensive expansion of our inventory that continues to evolve, expand, and flourish today. Our bead shop has received media attention in recent years! We’re celebrating 50 years of business in 2018! We extend our sincere thanks to the Greater Rochester community and to customers throughout New York State and beyond for supporting our family owned and operated business. 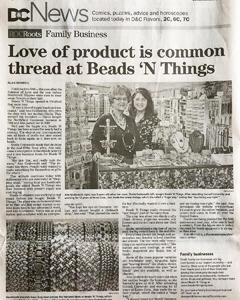 Beads ‘N Things is in the news!